Experience the magic and mystique that Ann and Nancy Wilson brought to the rock & roll music scene of the seventies and eighties! 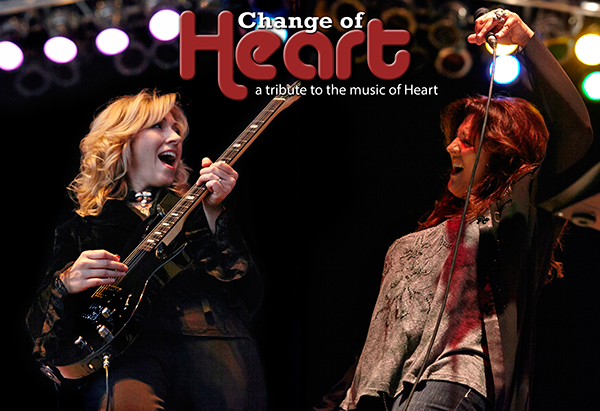 Change of Heart takes you on a musical tour through all the hits. This talented group of musicians has performed together in other projects for many years. Now, combining the instrumentation and flawless vocal work of these real-life sisters, you will be amazed by the sights and sounds as Change of Heart fills the venue with one hit after another.